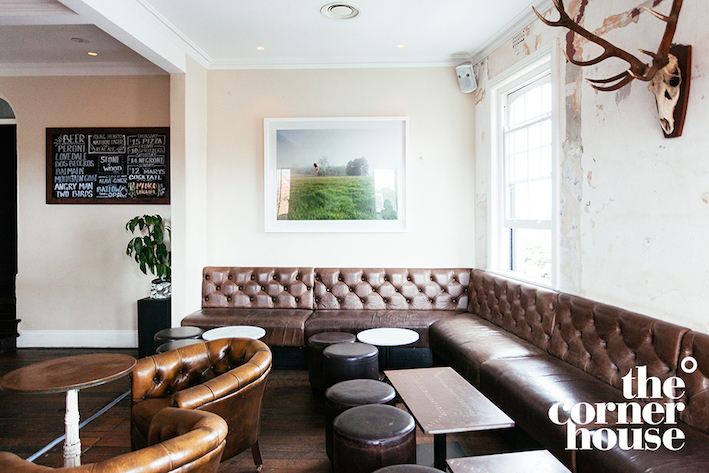 Our upstairs bar is a premier function venue in Bondi. Rent the entire space for your event or select one of our three themed rooms. View our packages here. Upstairs at the The Corner House can be used for functions both inside and outside our normal hours of trade. Please contact our friendly reservations team to tailor any food or drink requirements towards your function. Take a look at our function packages menu where you can pick and choose the food for your group booking at a set price. The Corner House has 3 different rooms upstairs, all with their own different vibe and atmosphere. 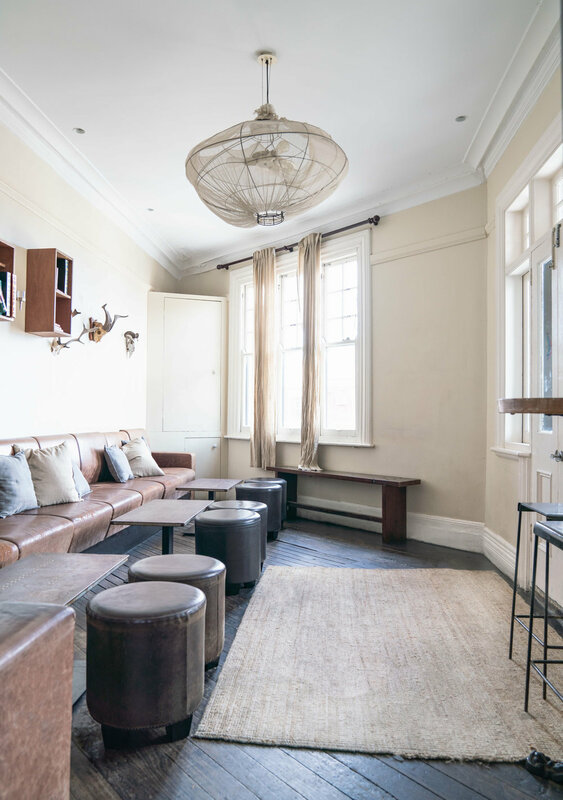 All three rooms can be hired either individually as well as hiring the whole bar exclusively, depending on the size of your booking. 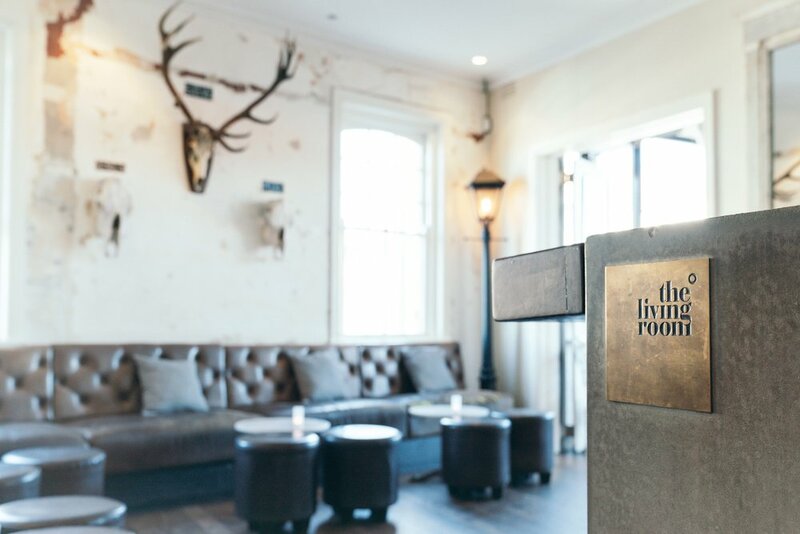 To reserve an area at The Corner House Bar exclusively, there is an agreed upon minimum spend appropriate to the expected minimum income of the day/date of the booking in question. A booking deposit is then taken to reserve that area exclusively for you. Any cancellation within a week of the booking will forego the booking deposit we have taken. This is the main room upstairs which can fit 40 people comfortably. It features ecletic furniture, fittings and art as well as direct access to our fully stocked cocktail bar. This room is a favourite for bookings that want to be in the thick of the action. This airy, breezy and tropical room features hanging plants, wicker furniture and windows that open up and let you ‘spill out’ into the Bondi air. This room flows on from the Living Room and is a favourite for smaller bookings/functions. This secluded, more intimate room is located down a passageway and further away from the bar. It also has the advantage of being next to the smoking balcony which gives panoramic views of Bondi. This room is a favourite for bookings/functions that want a bit more privacy or seclusion. Subscribe below and you’ll get a FREE bottle of wine the next time you dine at The Corner House!